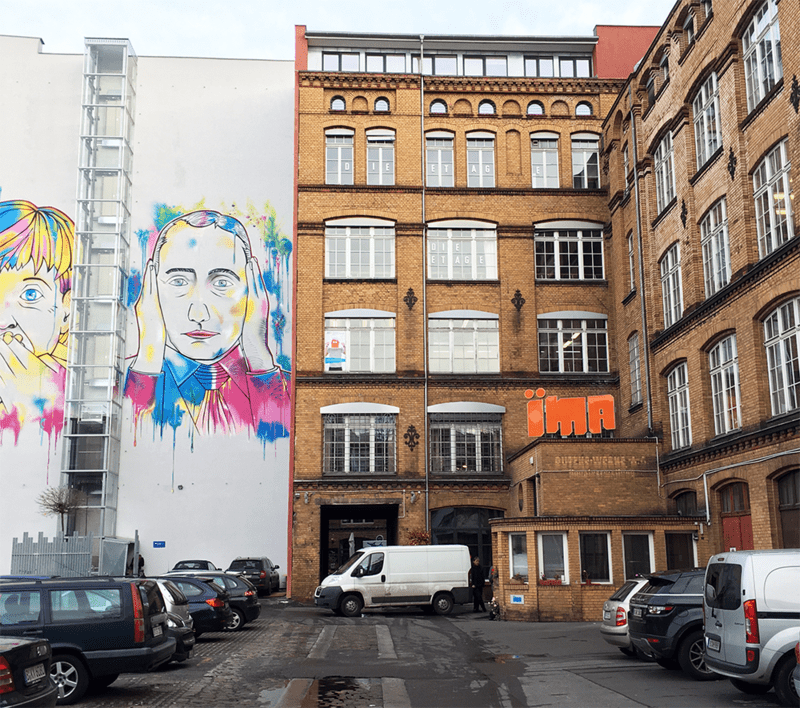 It's been an exciting couple of months since our last update on what's happening in our European office in Berlin. We're still hard at work and have a lot ahead of us, but wanted to give y'all another peak into what we've accomplished and what's still to come. Orders to Europe, Africa and the Middle East are now shipping from Berlin–yay! 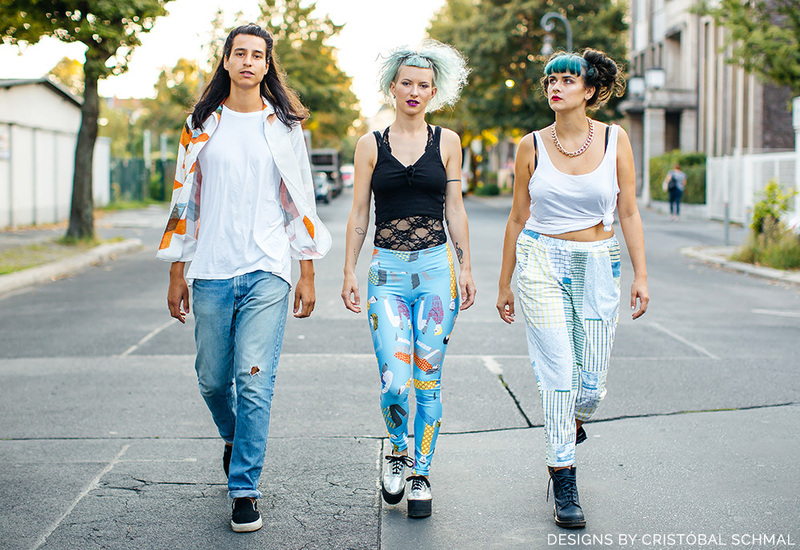 Time for a Spoonflower status update: Berlin edition! 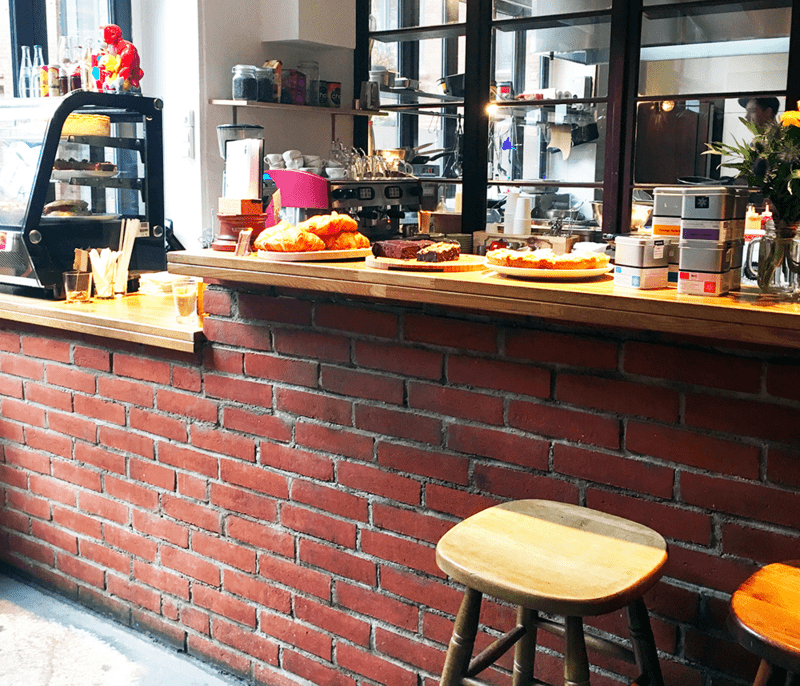 If you've been curious about how things are going at the new Berlin office and want to stay in the know, read on as Spoonflower crew member Allie shares an update on the new space. 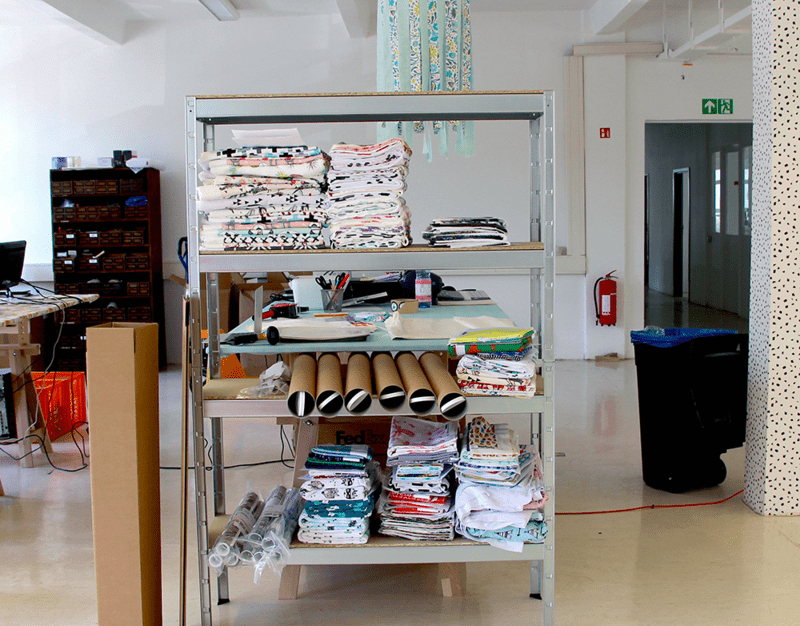 Meet some new German team members, and behold the early stages of what will soon be a bustling factory cranking out custom-printed fabric, wallpaper and gift wrap for our European friends. Have you heard? 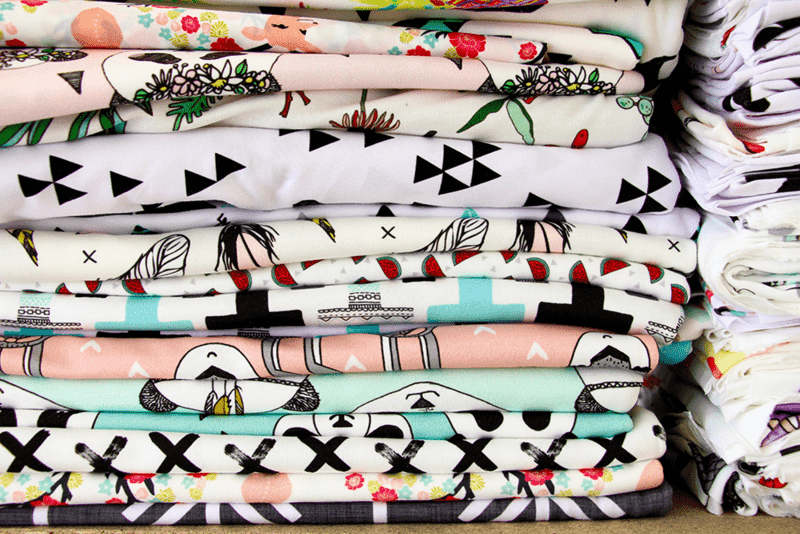 Spoonflower will soon be shipping from Berlin! 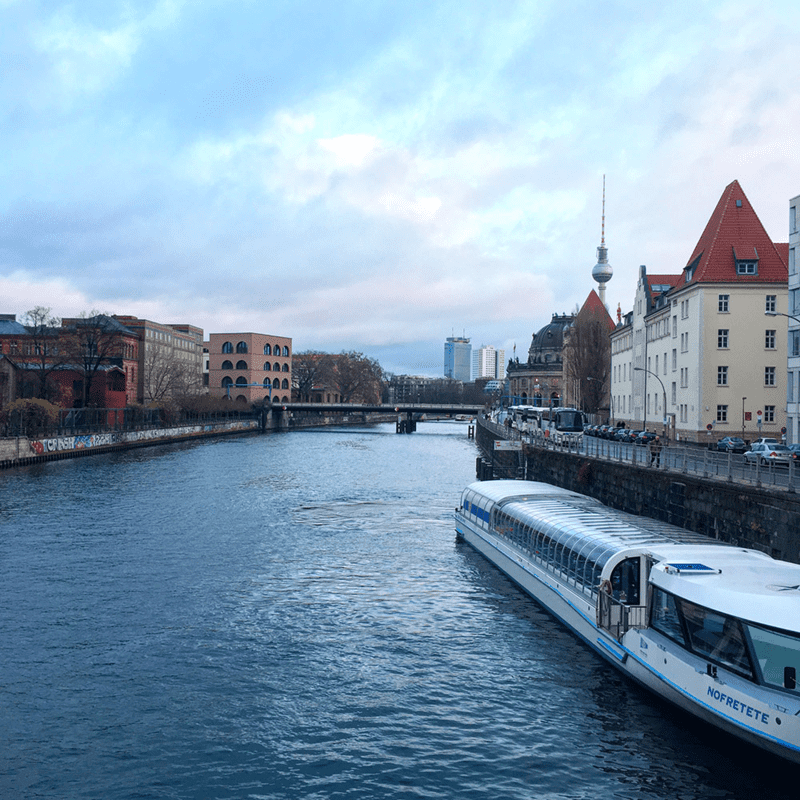 Today's post comes from marketing team member Allie as she reflects on her time spent in Berlin! After 15 hours of traveling, Sam (from our printing department) and I arrived in Berlin to be greeted by Spoonflower's director Stephanie inside Tegel airport in Berlin. With new cell phones and transit cards exchanged, we were off to find our way in the city. This was my first trip to Germany, a place I'm now thrilled to call home. The past few weeks have flown by as I've continued the search for crafty folks, planned a Meetup with local Berliners and talked through ideas for getting our shipping facility up and running! 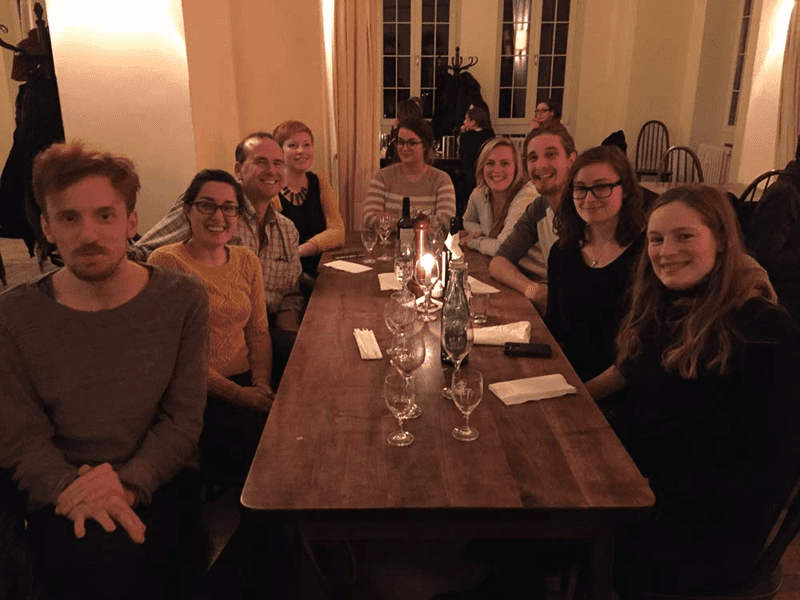 We even had the chance to catch up with all the new hires at the time for a traditional German meal (in a castle!). It was an international affair celebrating the start of a team with folks from the UK, Australia, Denmark and, of course, the US! Just before heading stateside for the holidays, I invited folks from the area in for a night of crafting and community. 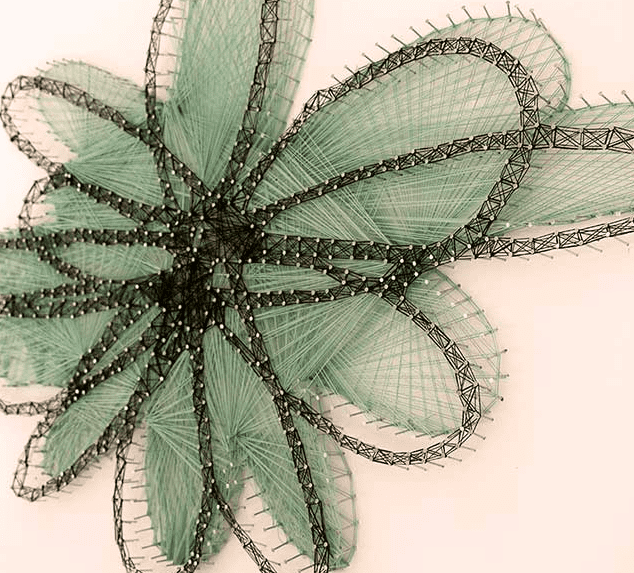 I took a few minutes to talk about Spoonflower and our plans for Germany, and then there was time for people to ask questions and share conversations about all things creative and fabric related. We had a small hand embroidery project for folks to work on throughout the night. It was really lovely to spend time crafting with local makers while chatting about all the crafty happenings around Berlin. Spending four weeks exploring Berlin has been incredibly exciting, and I'm so excited for what's to come. Here's to a new adventure for the Spoonflower crew!